For more information and translation in Japanese, please read below. 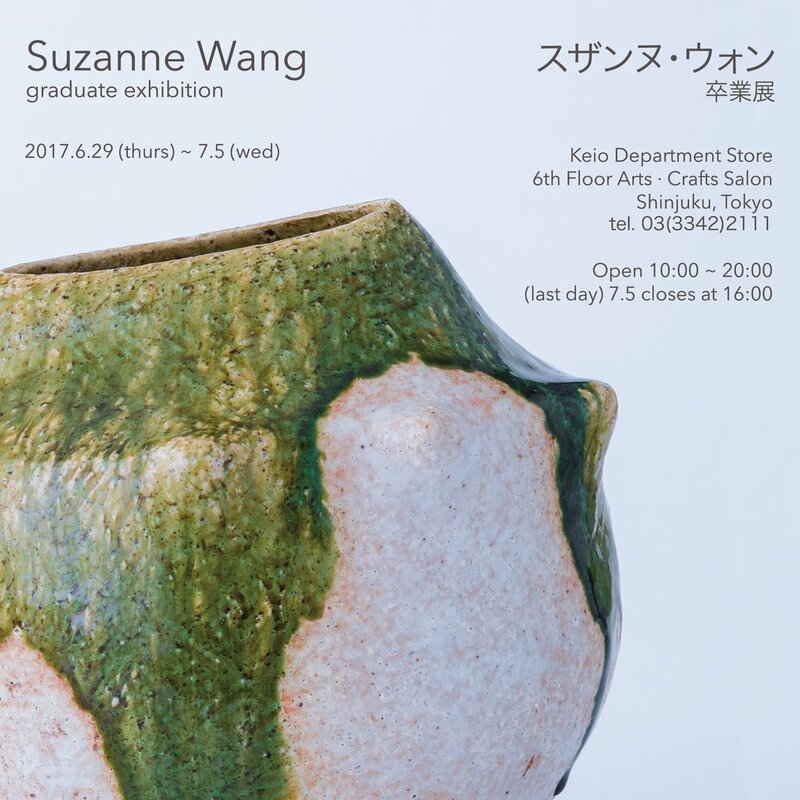 During my one year of pottery study under Ken Matsuzaki, he had a profound influence on my work. I began to understand on a deeper level the importance of the materials, which I was able to learn about in all its various stages. His masterful creativity, work process and approach towards presentation helped strengthened my discipline and focus. During my last few months in Japan, I was given the generous opportunity to create a collection of Oribe ware, using his clays, glazes and firing methods. Also included are some pieces which were fired in his noborigama kiln. Characteristics of the Hawai‘i landscape emerged as I tried to capture the playful spirit of Oribe ware’s shapes and glazes. Our two island cultures have a strong affinity. Learning about Japanese pottery in Mashiko, and my teacher's way of life as a potter, has been a life-changing experience, for which I am deeply grateful. Many thanks to Ken Matsuzaki and Mashiko Pottery International Association, for making this experience possible.